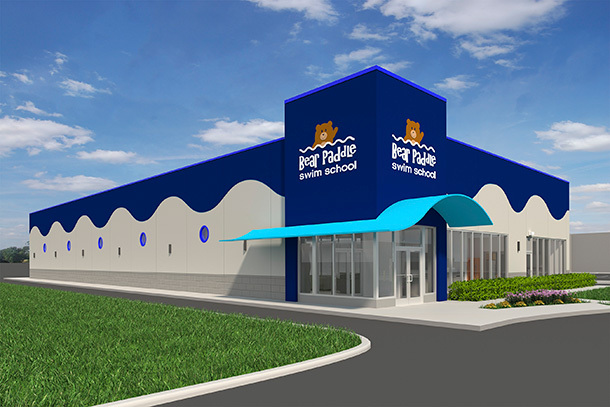 For Bear Paddle Swim School’s first ground-up location in suburban Lake in the Hills, corporate development personnel turned to FitzGerald Associates Architects to translate the facility’s existing retail prototype into their own structure. FitzGerald’s solution called for elements of the Bear Paddle brand echoed in design features inside and out. 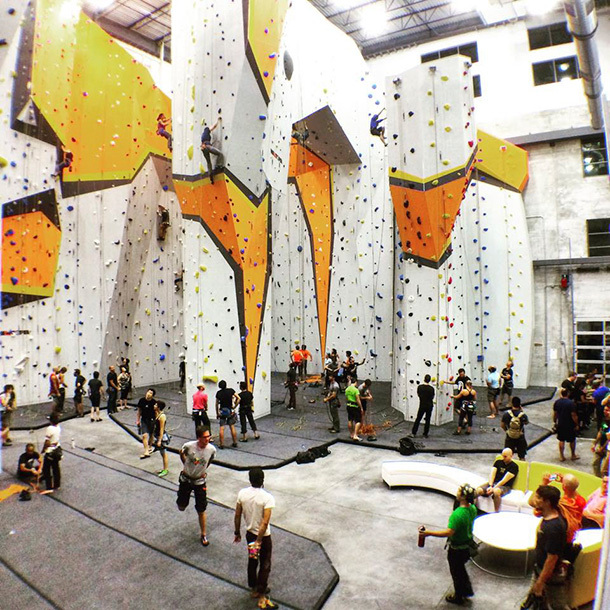 Inside the building the facility’s floor plan represents the best schemes from previous build-outs in existing retail spaces, but with the added benefit of ideally-customized Structural and Mechanical systems, such as column-free spaces throughout. 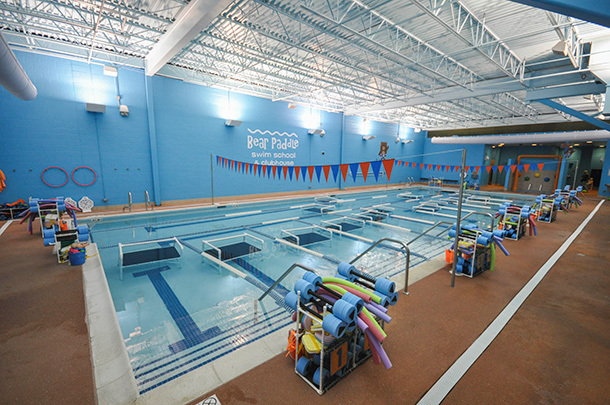 Through design and finishes, the facility feels familiar to guests of other Bear Paddle locations, with the large, bright pool visible from the entrance and reception desk. 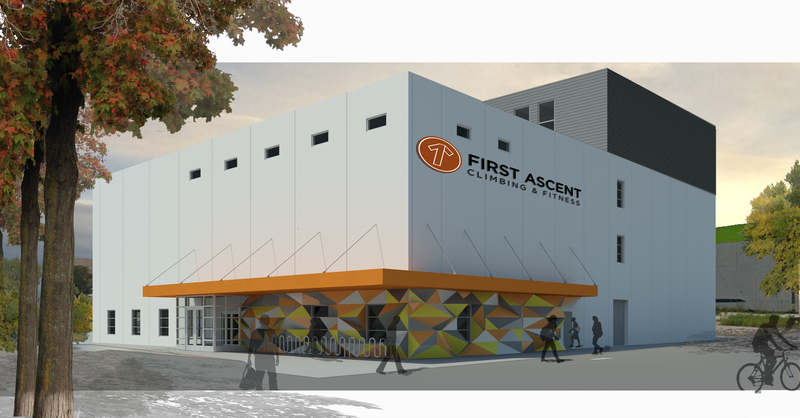 When it came to designing the exterior, FitzGerald was faced with designing a building that not only reflected the Swim School’s brand to guests, neighbors, and passers-by, but also fit with the municipality’s appearance guidelines. The building’s precast wall system, which is currently under construction, features a recessed wave pattern detail and porthole-style windows–custom designed for this application. The building’s panels also include details reminiscent of a limestone base and “water table” to further blend with its suburban context.